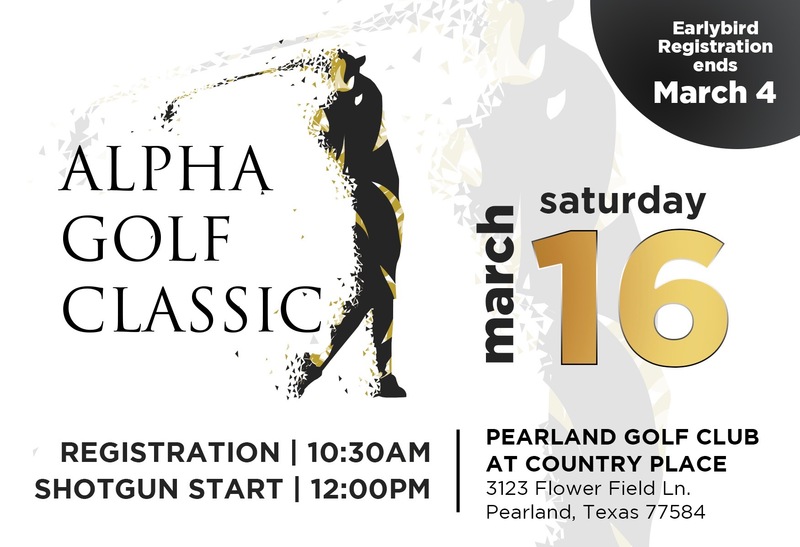 Alpha Merit Golf Tournament | Alpha Merit Group Educational Foundation, Inc. 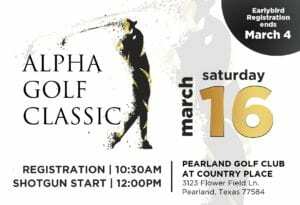 The Alpha Merit Group Educational Foundation, Inc. in conjunction with the Alpha Eta Lamba Chapter of Alpha Phi Alpha Fraternity, Inc. will hold its biennial Alpha Golf Classic on Saturday, March 16th at Pearland Golf Club at Country Place. 2 Person Scramble. The cost is $100 per player with a shotgun start at 12pm. Funds raised in the two person scramble will go towards scholarships and educational programs. This year’s honorary chair is Rev. Timothy Sloan, Pastor of The Luke Church in Humble, TX. Awards & Dinner at conclusion. Can't find what you are looking for? Contact us via our "Connect with Us" form by clicking on the link below.